If you’ve been through my three free videos, then you know I’ve got the chops to deliver what I’m promising. I know what I’m talking about here. 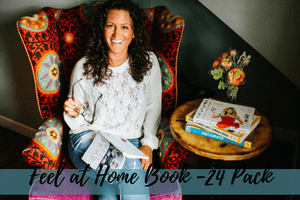 Inside, you will find videos that walk you through each module, along with “homework” that goes with each video for you to do, to help you identify what specifically needs to be done in your home. 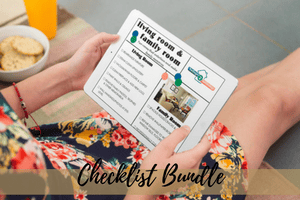 Get our five most popular checklists for the main areas of the home: the Living Room Checklist, Dining Room Checklist, Kitchen Checklist, Bathroom Checklist and Master Bedroom Checklist. 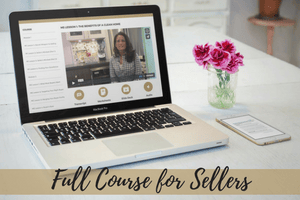 The Stage 2 Sell Strategy is the world’s first online home staging video course that teaches sellers how to stage themselves. This step by step comprehensive course has over 40+ on-demand training videos, worksheets, checklists and planners to apply to your space. This course helps sell homes 78% faster. Make more money on your most valuable asset learn more. Real Estate Agents can become a member of The Stage 2 Sell Strategy to provide home staging, a powerful marketing tool, to their sellers. This helps agents stand out amongst their competition and quickly sell their listings. As a member you can give an unlimited amount of home sellers access to this information each month. Learn more. In The Stage 2 Sell Strategy, the first step of the process is to get YOU mentally prepared for selling a home and this life change. Selling a home of course has to do with price but, it also depends on the motivation of the seller. So, many homeowners focus on the wrong things when selling avoid this mistakes. In this three part video series, you’ll learn how to take control of the clutter in your home. One of the most common stress triggers is worrying the house isn’t clean or organized enough, well no more! We’re going to conquer clutter once and for all. This is part of The Stage 2 Sell Strategy. Many times homeowners overlook the repairs that should be made in a home. What repairs are the most important and which one should you tackle first? We answer those questions and much more in this five part video series. This is part of The Stage 2 Sell Strategy. This is a 4-part video series on how to get your home clean. You’ll learn the benefits of cleaning, why it’s important to clean and what exactly you’re cleaning in your home. Then you’ll get an idea of what to clean in each room. This is part of The Stage 2 Sell Strategy. When a buyer walks into a home for the first time there is a lot to look at. They can sometimes feel overwhelmed or distracted, that won’t get your home sold. It’s important for buyers to remain focused on the positive features in a home.This three part video series is apart of The Stage 2 Sell Strategy and helps you show off your space. Are you ready to shine? In this three part mini course, you will learn ways to add more light into your home. There is a combination of natural and ambient lighting that sets the right mood in a room. This is part of The Stage 2 Sell Strategy. We’re going back to the basics of design. One of the biggest mistakes homeowners make in their home is purchasing large furniture or too much furniture that doesn’t fit the space. Learn a simple way to layout furniture and accessories in the main living areas. This four part video series is apart of The Stage 2 Sell Strategy. This is the final step in The Stage 2 Sell Strategy that teaches you how to take everything you learned about a potential buyer and showcase it in the space effectively to connect with them on an emotional level and motivate their decision to buy. Create “wow factors” that have buyers or guests lingering in your home longer. This is a two part video series. This is an hour long consultation. Work with us one on one online to get your home prepared for buyers or guests. 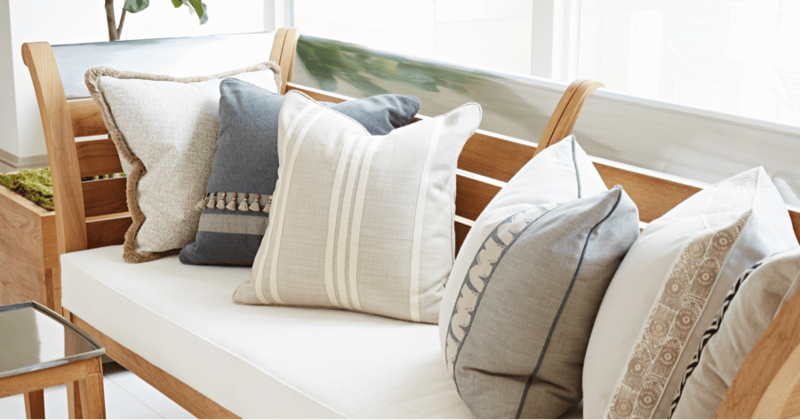 We take the guess work out of figuring out how to show off your space to make it feel at home. Once we see your space we will create a customized plan to put into action. Learn more. This is a 3 hour package. 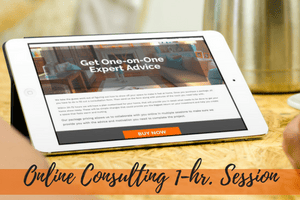 Work with us one on one online to get your home prepared for buyers or guests. We take the guess work out of figuring out how to show off your space to make it feel at home. Once we see your space we will create a customized plan to put into action. Learn more. This is a 6 hour package. Work with us one on one online to get your home prepared for buyers or guests. We take the guess work out of figuring out how to show off your space to make it feel at home. Once we see your space we will create a customized plan to put into action. Learn more. "I had no idea how to set up my living room because of it's weird layout. 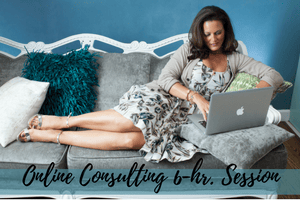 I scheduled a consultation with Tori, sent over photos and she gave me the advice needed to set up an amazing room. I've since used her consult services 2 more times to create a multi-functional family room and repurpose a bedroom. 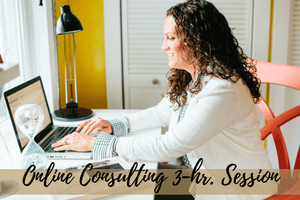 It's an easy cost-effective way to get expert advice." Get an autographed copy of our best-selling book. 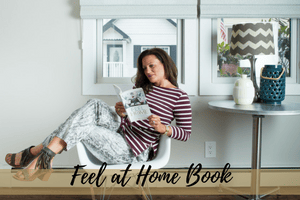 In “Feel at Home”, home staging expert Tori Toth pulls back the curtains on the home staging industry and shows you a simple 10-step plan for making an impact on your housing market. The place that you’ve called home is about to become your greatest asset, I’m here to help you get the best return on your investment. Real Estate Agents why not get a 12-pack of books to give out at your listing presentations to show sellers you care about their property? 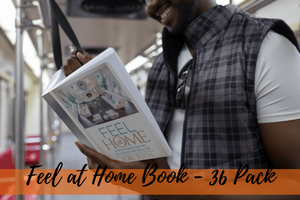 In “Feel at Home”, home staging expert Tori Toth pulls back the curtains on the home staging industry and shows you a simple 10-step plan for making an impact on your housing market. The place that you’ve called home is about to become your greatest asset, I’m here to help you get the best return on your investment. Real Estate Agents why not get a 24-pack of books to give out at your listing presentations to show sellers you care about their property? In “Feel at Home”, home staging expert Tori Toth pulls back the curtains on the home staging industry and shows you a simple 10-step plan for making an impact on your housing market. The place that you’ve called home is about to become your greatest asset, I’m here to help you get the best return on your investment. Real Estate Agents why not get a 36-pack of books to give out at your listing presentations to show sellers you care about their property? In “Feel at Home”, home staging expert Tori Toth pulls back the curtains on the home staging industry and shows you a simple 10-step plan for making an impact on your housing market. The place that you’ve called home is about to become your greatest asset, I’m here to help you get the best return on your investment. Real Estate Agents why not get a 48-pack of books to give out at your listing presentations to show sellers you care about their property? In “Feel at Home”, home staging expert Tori Toth pulls back the curtains on the home staging industry and shows you a simple 10-step plan for making an impact on your housing market. The place that you’ve called home is about to become your greatest asset, I’m here to help you get the best return on your investment.